In a remote desert, an unidentified object falls from the skies. A research organization known as G.E.R. has tracked and found the mysterious meteor: a capsule of organic material that brings an unknown life-form to our planet from the depths of space. Here begins the story of this impossible being, as it attempts to escape and survive on this strange, hostile world that we call home. 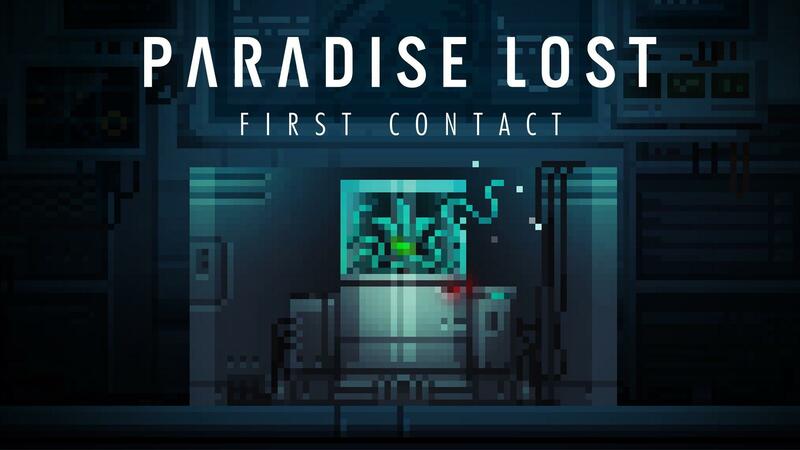 In Paradise Lost you will take control of an alien plant that has been hidden in a secret bio-engineering facility. A security breach in the system allows the plant to escape from imprisonment and discover the secret purposes of the research organization which put it in a jar. The game was funded on Kickstarter to hit a few stretch goals and it's now available for pre-order via their Humble Store widget if you missed out (like I did!). For $15 you get the DRM free version + a Steam key what a bargain indeed! Absolutely love the style of this game, love the weird futuristic pixel art! What do you think people?